In North Toyoshima, in the town of Oji, a dealer in hardware named Kumatani Harumachi had a house where five people died in the month of March. In fear of a similar fate, the house had stood empty ever since. But on August 2nd, the house of Harumachi’s younger brother, Tamura Sanmachi, was destroyed in a landslide after heaving flooding brought some seaside cliffs tumbling down. Sanmachi and his wife Aki moved into the abandoned house of his older brother. From the very first night, Aki was besieged with terrible nightmares. It was more than she could handle, and eventually Aki and her husband moved again and had the cursed house torn down. The curse was said to have begun some two or three years earlier, when Harumachi was working in his back yard. 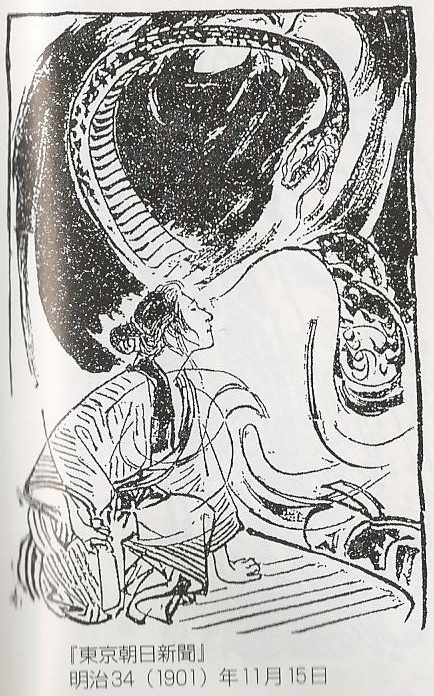 He had decided to remove a saikachi tree, and when he cut it down he saw five snakes pouring out of a hollow in the tree. 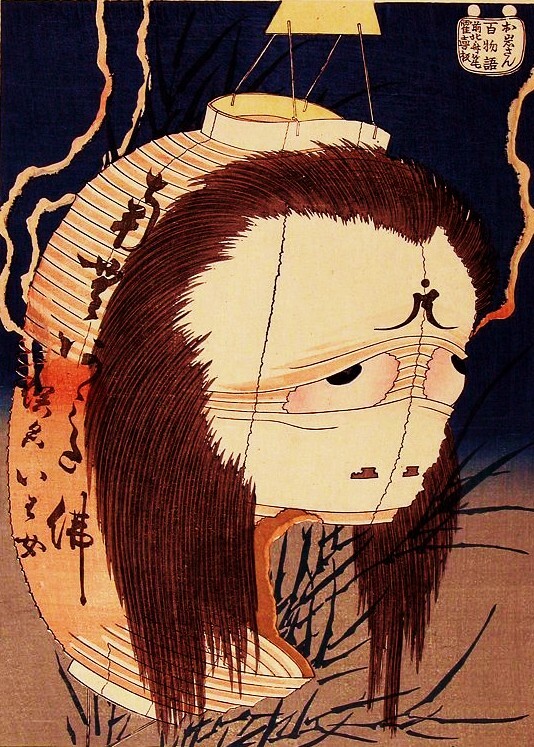 Even with his wife pleading him to stop, Harumachi swung his hatchet at the snakes and cut off all five of their heads, the flung their bodies into the Keshin river to be washed away. That same hatchet was later used to murder Harumachi and his entire family, and the neighborhood began to whisper about the snake’s curse. There are many similar legends about the curses of snakes. 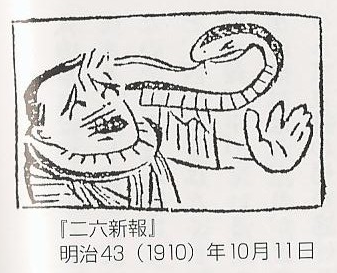 It was reported in a newspaper that a child was hurt by a snake in Tachimori village while gathering dry grass for horses. In response the village got together and worked to drive all of the snakes from the village, but that night the villagers were tortured by dreams of great masses of snakes crawling over their bodies. The nerves of even the toughest man were severely shaken, and several people went mad.